Machaerus (Israel): Where Salome Danced and John the Baptist Was Beheaded. 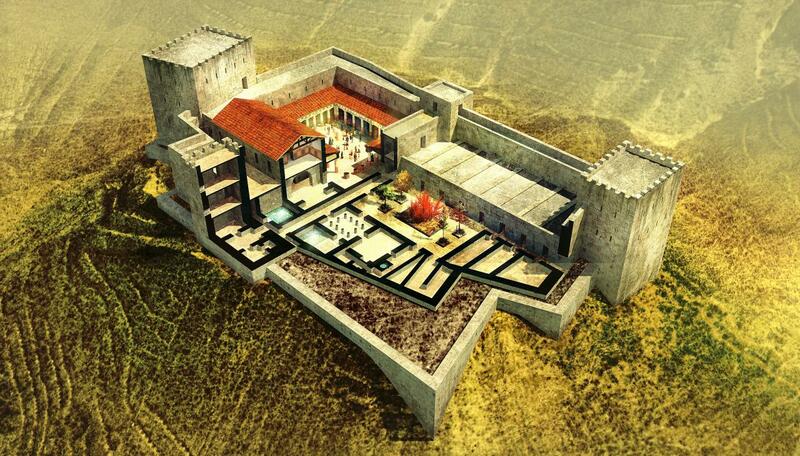 Explore the site with brand new reconstructions of the Herodian palace. This cutaway reconstruction of the Herodian Palace at Machaerus shows the splendor of the Dead Sea fortress described by Győző Vörös in the September/October issue ofBAR. Herod the Great added luxurious renovations including a courtyard with a garden, a Roman-style bath, a triclinium for dining and a peristyle courtyard. This reconstruction, published here for the first time by the Biblical Archaeology Society, is courtesy of Győző Vörös and the Hungarian Academy of Arts. While the beheading of John the Baptist lends the Herodian palace a special notoriety, Győző Vörös examines the archaeology and extended site history to show how the location of the Dead Sea fortress at Machaerus led to its special place in Herodian Judea. Looking across a longer expanse of history, the Hasmonean, Herodian and Zealot occupations at Machaerus tell the different stories of their respective periods, from regal luxury to the brutality of a Roman siege. 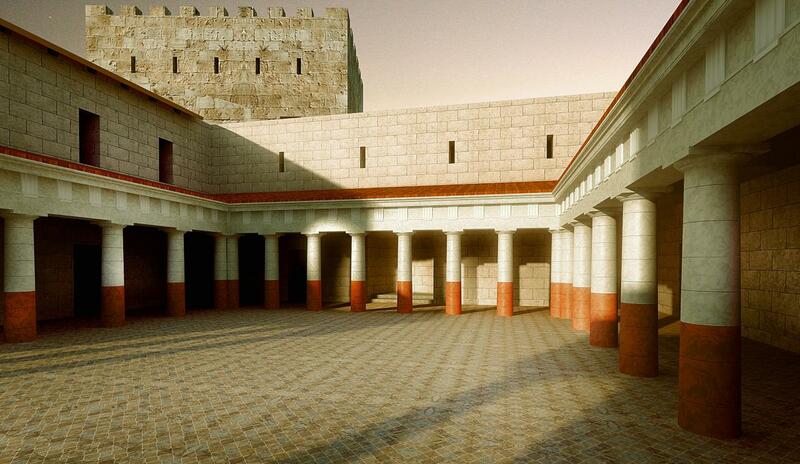 This reconstruction shows the peristyle courtyard at Machaerus, where Herod Antipas sat and watched the deadly dance of his step-daughter Salome. Author Győző Vörös told Bible History Daily that this reconstruction was based on details from the excavation, including “hundreds of fragments from the red tiled roof of the former Herodian royal palace.” This reconstruction, published here for the first time by the Biblical Archaeology Society, is courtesy of Győző Vörös and the Hungarian Academy of Arts. Machaerus was the easternmost of Herod’s renovated palatial fortresses. While Vörös insightfully notes comparisons to the other fortresses, Machaerus stands out because of its location east of the River Jordan. Rising majestically above the Dead Sea (see the cover of the September/October issue of BAR), the fortress could be seen from as far north as Alexandrium and as far south as Masada, and smoke signals from the citadel were visible in Jerusalem. In addition to its natural defensible position on a rocky hilltop, Machaerus served as the first line of defense—and warning—against any eastern invaders. Machaerus was more than just a military outpost; the extensive renovations by Herod turned the originally defensive center into a lavish palace that set the stage for a (deadly) Herodian birthday party. In “Machaerus: Where Salome Danced and John the Baptist Was Beheaded,” Győző Vörös explores the archaeology, architecture and history of the site, telling Machaerus’s tale from the lower city to the citadel’s peaks, and from its Hasmonean origins to a cruel ending at the hands of the Roman army.